Normative ethics is the practical branch of ethics involved with establishing moral standards which determine right and wrong behavior; it is concerned with what we 'ought' to do. 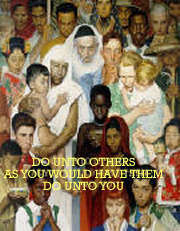 The Golden Rule found in Matthew 7:12 is an example of this, "In everything, therefore, treat people the same way you want them to treat you, for this is the Law and the Prophets." Providing us with guidelines for making decisions in the future, these theories also serve as means to evaluate decisions made in our past. Each normative ethical theory has its own philosophical justification. And both advocates and critics argue the merits of each other’s theories, which ultimately reflect their philosophical world-view.